The Twisted Electrons Octopus is a dual 8-way switch/multiplexer module designed for sequencing. 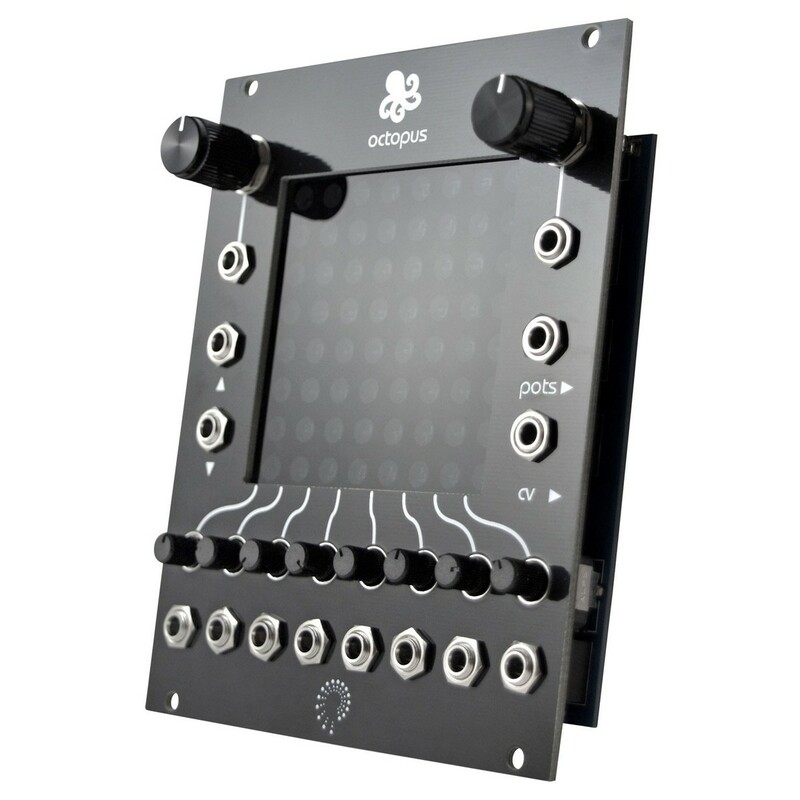 The Twisted Electrons Octopus provides you with 8 potentiometers with up to 8 signals, giving you the ability to switch between audio signals as well as being able to sequence a range of signals such as multiple waveform from an oscillator to create unique patterns and rhythms. The horizontal axis of the module chooses the channel while the vertical axis is designed to store up to 8 channel positions. The streamlined design means the Twisted Electrons Octopus can be used for a variety of different sounds and applications, from oscillators to audio files. The Twisted Electrons Octopus 8 Way Multiplexer/Switch is a highly versatile audio module that allows you to sequence up to 8 signals or potentiometers. The sturdy design makes it perfect for studio settings and will fit neatly into a range of rack configurations. 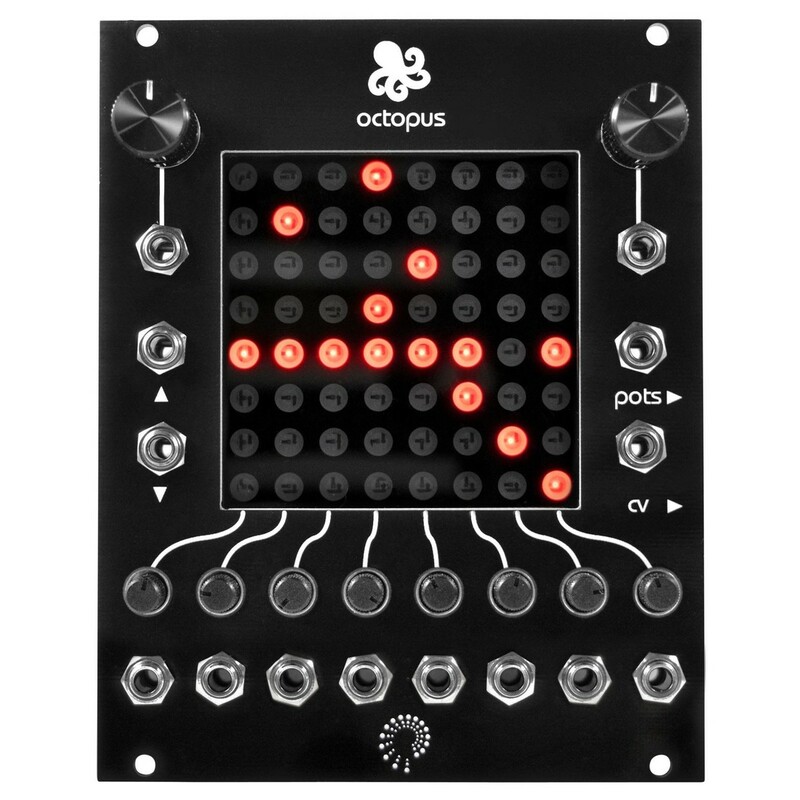 The Octopus works by giving you 8 inputs for signals or pots, allowing you to create sequences and melodic rhythms with a hands-on approach. 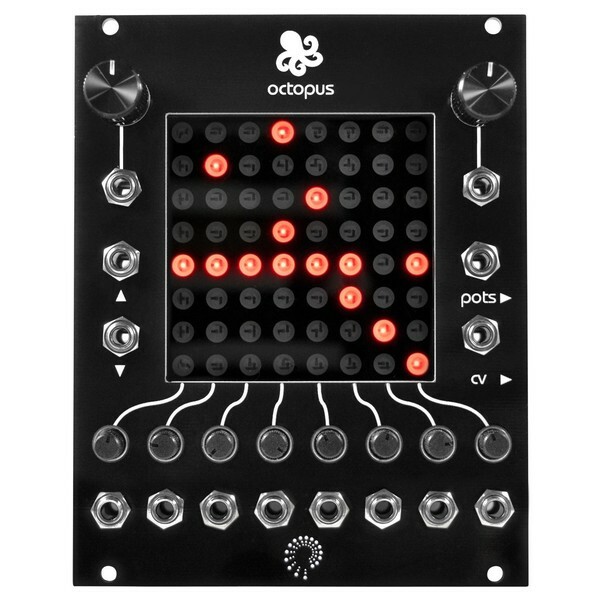 The large and clear display features a matrix of Red LED lights that activate in time with the sequencing line, giving you precise visual feedback on how the Octopus is processing your signals. 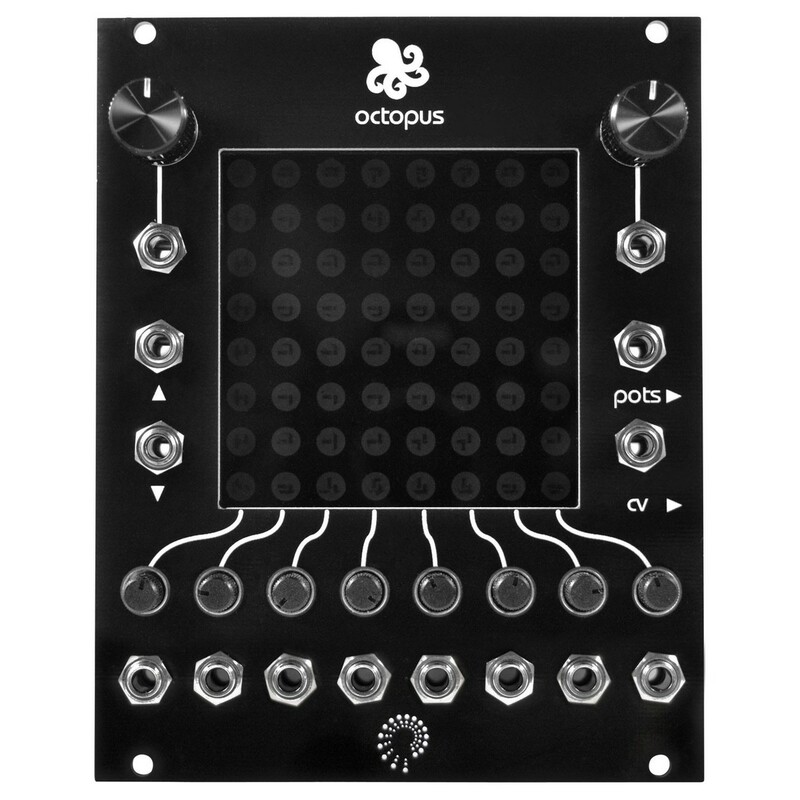 You can use the Octopus for a range of audio sources including waveforms from an oscillator or audio files. The possibilities are endless, allowing you to override the pots, switch audio signals with the CV inputs and a whole lot more.